The city of New York is known as one of the fine cuisine capitals of the world. Some of the best chefs are situated here and people fly from all around the world to come to specific restaurants in the city. It doesn’t matter what type of food, New York City has a great restaurants serving that style of food. 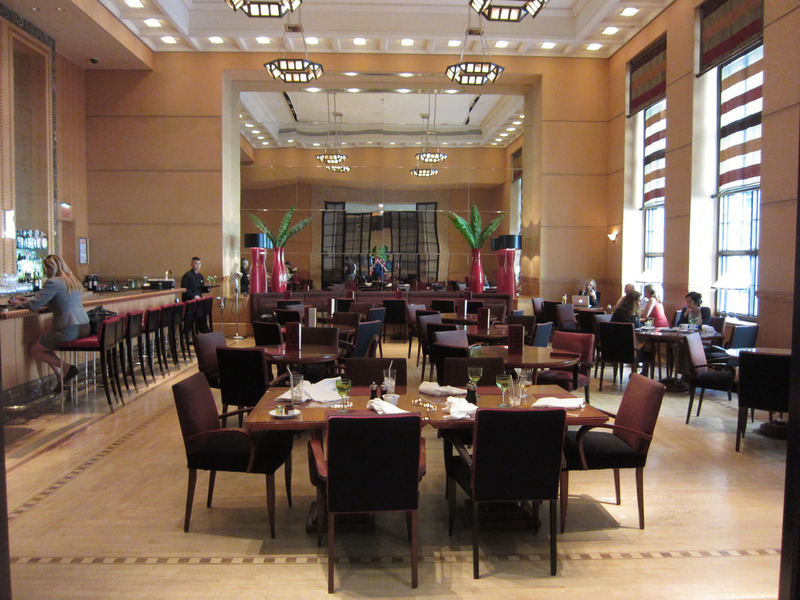 They also have great cafeterias, diners and even street food that is also world class. The food joints are spread out through the entire city and in each of the borough’s so if you want to visit any of these amazing places to eat on a group crawl, getting to all of them can be a challenge. The best way to get you a group around the city any time of day or night on your food crawl, is on a private bus. Renting an NYC tour bus or minibus is simple and can get your group focused on your activities rather than the road. Leave the driving to a professional and let him deal with traffic, traffic tickets, and parking. Now that this part is settled oh, back to the amazing food in New York City. Here are a few of the most treasured restaurants in New York City that you should consider frequenting on a group food crawl. One of Harlem’s most famous eateries because of its Chicken & Waffle plate which features a cornbread waffle sitting beside the most perfectly prepared chicken you have ever had. The honey chili sauce completes the meal. This NYC tradition is turning 100 years old and is still going strong. Pizza, Linguine with red clam sauce and Veal Marsala have been on their menu the entire time and continue to please. Enjoy their lush interior with great paintings and statues and the complimentary anisette. From a speakeasy in 1926 tis NYC icon has become a classic steakhouse serving the juiciest steaks in the city. Frank Sinatra called it his favorite meat joint in the city and you will too. To set up your tour and get to these and other amazing New York City restaurants, here is a plan for you to follow. Because of his size and complexity, New York City can be a difficult place to navigate. For this reason you need to map out where you plan to go, the distance between places, and how long it will likely take for you to get from one place to another. You can use software like Google Maps and Waze to give you a turn by turn map of you best route around the city. You should also play an alternative routes because New York has constant traffic jams and car accidents that can bring traffic to a standstill. Traveling in a group means that you have to plan out some stops to make sure the people are comfortable. The mapping programs have locations where there are restrooms, and other places where you can stop and stretch your legs. Take advantage of these places because they might be hours at a time when your group is in the bus. One of the great things about being in New York City is that there are many amazing and cool things that you can see almost on every street. When you make your door what is some stops where your group can going to visit some of these amazing locations. There are museums, art galleries and other attractions that anyone will fall in love with. Stop frequently and it will add to the fun of your food crawl. Is your plan to stay in New York City overnight or over several nights? If you notice in advance you really need to book your hotels before you get to the city. New York City is famous for his hotels and also for those hotels being completely. Don’t have your group sleep in the bus, instead book your hotel rooms before you get to the city. One way to you keep your group occupied when they’re on the bus is to bring along some games for them to play. You can also bring cards, and perhaps tablet computers for them to do some online gaming will check their email. One of the best things about a family vacation is that families love to go to fun and exciting places on vacation. 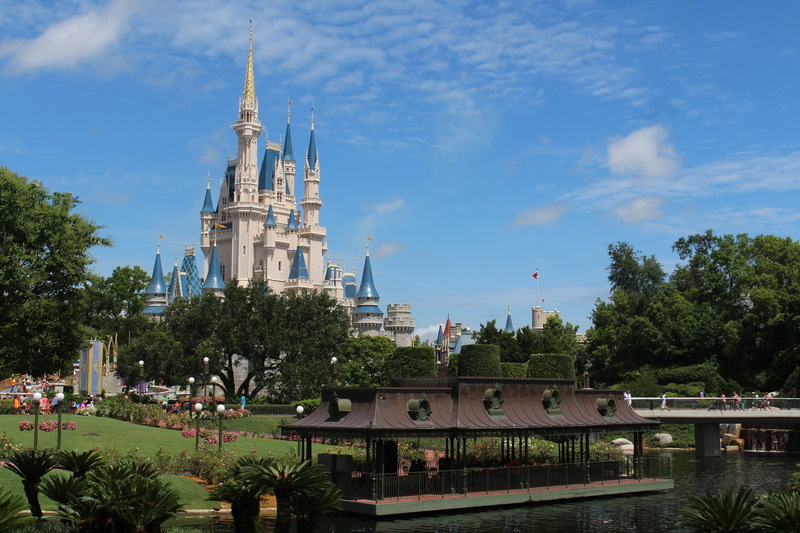 One of the most popular destinations for families are theme parks. Each year millions of families travel around the country to go to the most popular theme parks and of course the favorites are the Walt Disney theme parks based in Anaheim. California and Orlando. Florida. Disneyland and Disney World contain some of the most iconic and entertaining rides, and attractions anywhere. Families travel thousands of miles to go to these spectacular parks and fight against the crowds of other excited families. Still many other families choose to not go to the Disney parks because there are so many people and the queues in the park are so long. Many in this group do not realize that you can avoid queues by pre-buying your Disney tickets online. You can select any type of ticket for either of the parks and for each member of your family. In addition to saving you lots of time in queues waiting to purchase tickets, you can also get a good discount when you buy Disney tickets online. The Western lifestyle today is that each member of the family must always be occupied. Parents work more hours and when you add in the commutes, they rarely have time during the week to do anything other than work. On the weekends there is catching up on cleaning around the house, doing yard work and trying to spend some time with friends and family. Young people in addition to going to school five days a week typically have extracurricular activities including sports, playing a musical instrument, and social clubs. With whatever time is left over they’re doing homework or trying to spend time with friends. What this means is that the family actually spends little time together. A family vacation gives the family the chance to spend long periods of uninterrupted time together in a fun atmosphere. Family vacations always entail lots of family activities and usually long travel time where the family gets to interact with each other. It is a great time to bond and catch up on all of the missed conversations. For most of us, some of our fondest memories are from our family vacations. These summer excursions are the perfect time to bring everyone together around fun and exciting traveling. Family vacations often involve theme parks, museums, cultural events, family reunions, and other events that are great picture taking opportunities. You see family and friends that you haven’t seen in a while and won’t see for a long while again, so great memories are created and captured. Family vacations are some of the best times for every member of the family. If you have the chance to take your family to a theme park or someplace else that is fun during the summer, do not pass up the chance. America was made for the open road. In fact, quality interstate highways are one of the often overlooked advantages of the continental 48. These Eisenhower highways connect every corner of the continental United States with smooth, wide, well-kept pavement. 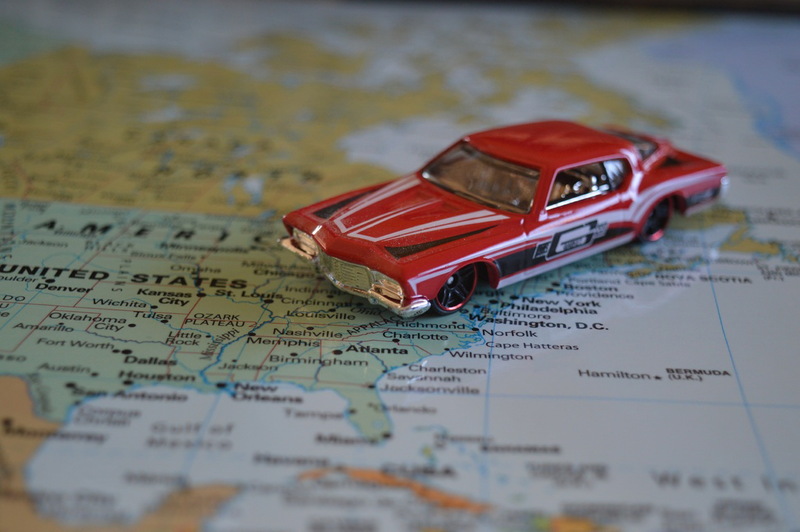 The roads are suitable for just about every vehicle, so take advantage of the nice weather, jump in your favorite mode of transportation and hit the high-quality highways to see the beauty that is America. Motorcycles allow you to see everything. You’re not unobstructed by windows, doors and other passengers. It’s just you, the fresh air and the natural beauty that surrounds you. 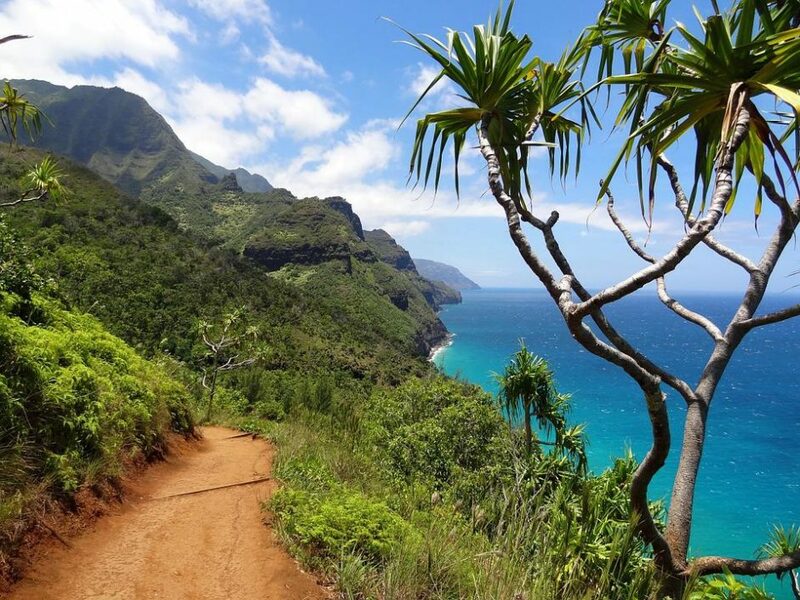 This instantly makes riding a motorcycle one of the best ways to see the country. The freedom of a motorcycle has its tradeoffs, mainly in the form of reduced safety. 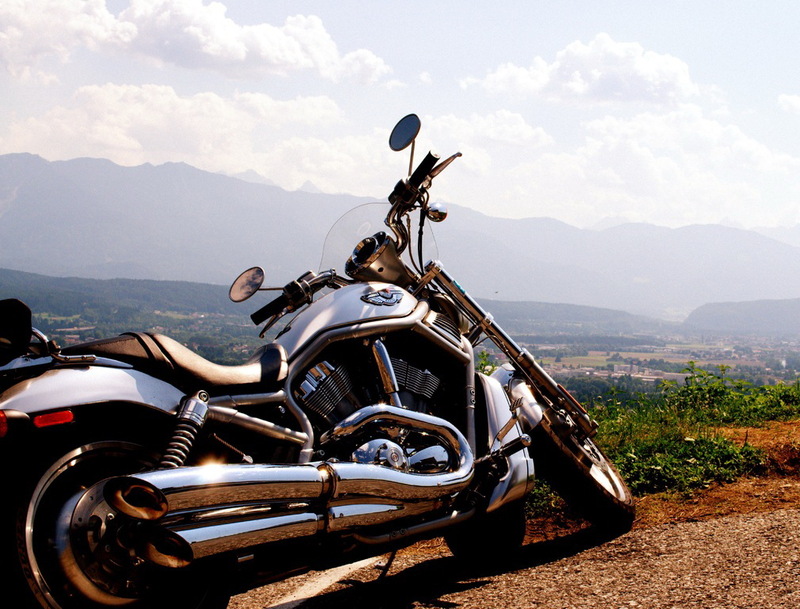 Even cheap motorcycle insurance costs more for an individual than a policy covering a sedan would, due to the increased risk of accidents occurring when riding one. There’s also the issue of reduced storage space, as well as the exposure to the elements. Make sure to do a little homework before ripping your hog down the highway. Some states have helmet laws while others do not, so make sure to tote bring your DOT-approved helmet. You’ll also have to schedule plenty of breaks and keep a keen eye on the weather, as wet roads are especially dangerous for motorcycles. You’ll have to decide right off the bat which is the best car for a road trip. Do you plan on going off road? You’ll need an SUV with four-wheel-drive. Are you driving clear across the country and need to save some money? An economy car will do just fine. Or are you loading up all your friends with plenty of gear? Perhaps you’ll need a station wagon? Whichever type of automobile you pick, it will likely be less thrilling than a motorcycle but also more safe and secure. Ask around to see if your friends have the right vehicle, but you may be forced to rent a car for the trip. This will cost a bit of money, but don’t despair. You can make it a one-way road trip with a rental car. Drive the rental from one city to your destination to fly back home. Simply drop the rental car off at the airport. This allows you to see the country while saving time. You’ll be forced to make an out-and-back trip with a car you own. 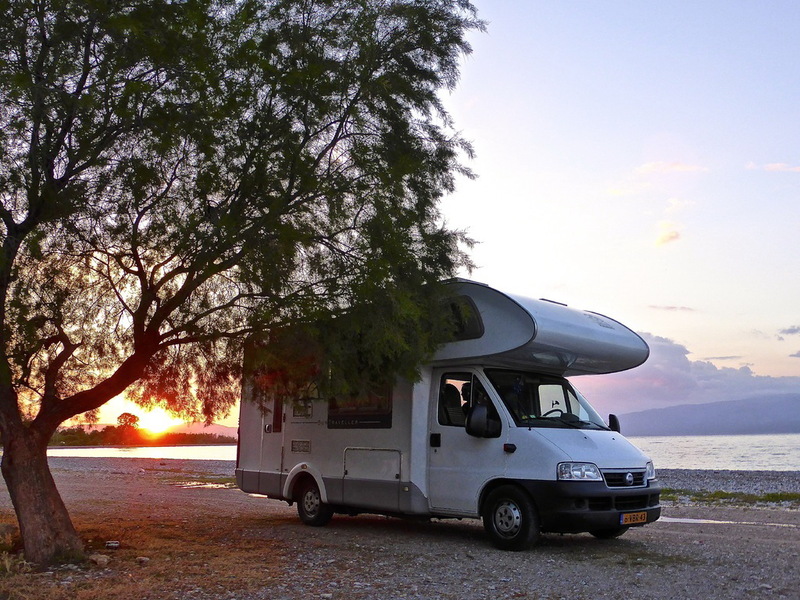 If used frequently, campervans and motorhomes can save you time and money in the long-run. After all, you just rock up to points of interest to sleep for the night. You don’t have to be hassled with pitching a tent or finding a hotel. While they seem intimidating at first-glance, driving a motorhome quickly becomes second-nature much like ordinary driving did when you were a teenager. However, you should consider the cost of a motorhome. Class-A motorhome prices start at about $50,000 and go up into the millions, depending on all the bells and whistles attached. Furthermore. in order to get the most out of a motorhome or RV, regular maintenance must be undertaken. The most beautiful parts of America are all connected by highway. Grab a friend or two, plan a route and hit the road for the trip of a lifetime. Just make sure to choose your mode of transportation wisely. All of you 90’s kids out there will remember the television series, “Beverly Hills, 90210”. This television series inspired people from all corners of the globe to set off on glamorous getaways to the city in Los Angeles County, California. If you didn’t catch an episode, let us inspire you to indulge in one of LA’s most affluent spots. The city of Beverly Hills was incorporated in 1914 and the area ZIP code is the wealthiest per-capita location in the nation. Don’t expect to see any billboards plastering the buildings like you might see in other US cities. Home to famous faces like Jack Nicholson, Beverly Hills boasts a manicured police station and a police department that will respond in under a minute. The world’s first Cheesecake Factory sits on North Beverly Drive and if you stroll around, you’re sure to find the facade of many buildings quite familiar. This is because Beverly Hills has been the setting for a colossal amount of TV shows and movies, including the 1984 hit movie “Beverly Hills Cop”. Rodeo Drive – Stretching for two miles, this famous street is the destination for year-round events and seasonal shows. A star-studded street of high-end stores and boutiques, the area can be explored by foot, on a segway tour or on a celebrity-spotting bus tour! Paley Center for Media (The Museum of Television and Radio) – A memorable day out can be enjoyed at this attraction, which can be found on the corner where North Beverly Drive meets Little Santa Monica Boulevard. Founded back in 1975 by William S. Paley, this striking building houses an expanding collection of content that has been broadcast on television and radio. Contained in its archives is a rehearsal for Rodgers and Hammerstein’s Cinderella that was previously never seen prior to being shown off at the museum. Trolley Tour – Hop aboard this open-air trolley and get a glimpse of Beverly Hills from all angles. The 40-minute tour will take you along Rodeo Drive, where you can window shop and search for famous faces. You will also see the city hall, library and other area attractions. Best of all, the vintage trolley is free to ride! The Academy of Motion Picture Arts and Sciences – This professional honorary organization that comprises over 8,000 men and women working (and succeeding) in cinema. It is known around the world for hosting the annual Academy Awards, better known as “The Oscars”. Greystone Mansion – You may have heard of this historical landmark being called the Doheny Mansion. It is perched on a beautifully manicured estate and despite its serene vibe, the setting was once chosen for a murder. Ned Doheny Jr. and Hugh Plunkett were shot dead on the grounds in 1929 and the killer was never caught. Beverly Gardens Park – Officially opened in 1911, this picturesque public park covers 1.9 miles of land from one fountain to another. It’s well worth enjoying a relaxing stroll along the paved promenade, before sitting on one of the benches to admire the surrounding art sculptures, roses and cacti. Likewise, you can work off that serious case of jetlag with a quick run. Beverly Wilshire – Known as a landmark of Beverly Hills, this plush building is a Four Seasons Hotel on Rodeo Drive. The year 1928 saw its completion and since this time, it has been chosen as the shooting location for various movies and TV series. Spadena House – A storybook house positioned on the corner of Carmelita Avenue and Walden Drive, this attraction covers 3,500 square feet. Also known as “The Witch’s House,” it was designed by Harry Oliver with a stucco design and lopsided roof. Once upon a time, an architect named Charles Willard Moore likened it to Hansel and Gretel’s house. Virginia Robinson Gardens – Frequented by the famous, these gardens are part of the Robinson mansion at Virginia Robinson Estate. The historical landmark was built back in 1911 has a period landscape and Mediterranean Classic Revival Style. Set on six acres of landscaped gardens, the ancient estate is included on the National Register of Historic Places. Sprinkles ATM – No matter what time of day or night you fancy a sweet treat, this cupcake automat will not disappoint. It is open 24 hours a day to satisfy hunger cravings with red velvet cupcakes and vegan nibbles. Saban Theatre – Previously known as Fox Wilshire Theater, this timeworn entertainment venue is considered a classic landmark of L.A. The Art Deco style building was one of the first structures to be seen in the city’s eastern segment. Celebrity Sightings – Paparazzi congregate in various parts of Beverly Hills to capture photographs of celebrities going about their daily business. Celebrity hot spots include Nate ‘n Al Delicatessen and Mastro’s. You may also choose to join a Starline Movie Star Tour to see where the stars live. Whether it’s a glamorous and relaxing getaway you are after, or a sightseeing trip on a budget, there’s something in Beverly Hills to suit. You could spend your days sipping champagne at a 5-star luxury resort, such as one of the Beverly Hills Hotels. These iconic hotels are proudly positioned in the most exclusive parts of the city. If you want to stay within the Golden Triangle, the Montage Beverly Hills will surely satisfy. Alternatively, you might want to book a stay at an affordable, intimate boutique hotels with all of the amenities you could wish for. Sites like Expedia are a great way to find the right Beverly Hills Hotel for your trip. Recommended options include the Hotel del Flores, and Ramada Plaza West Hollywood Hotel and Suites. 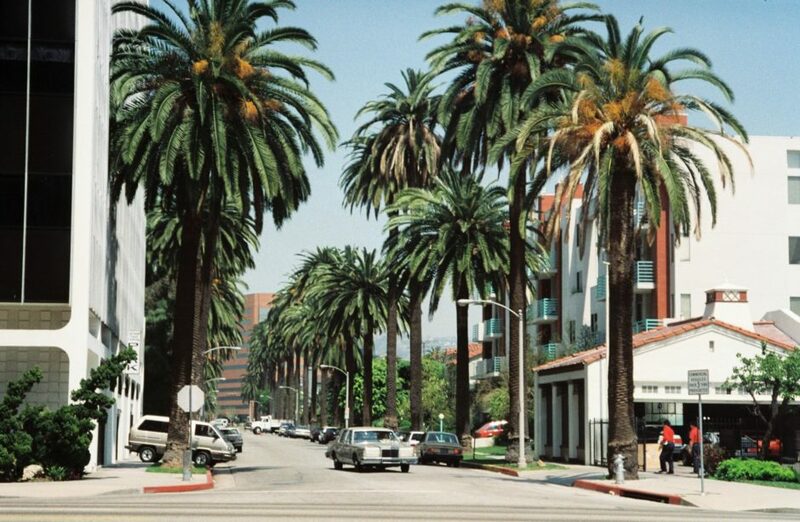 What are your favorite destinations in Beverly Hills? Leave us a comment with your best recommendations in the section below.